The Tennis Foodie turns two today. Time flies so fast. I remember my first blog post where it all started and now, I have a lot under my belt (and belly… haha!). My second year has been very challenging. I wasn’t doing well on the first half of the year from February to July. I was so frustrated that I lost my confidence along the way. 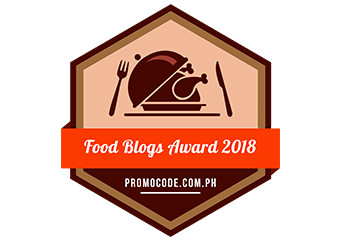 When I won the Food Blogs Award 2018, everything changed. Apart from regaining my confidence, I started doing well again. I achieved my career high ranking of World # 296,420 and got numerous features and awards too. I got to travel for 2 countries this year: Brunei and Australia. The Tennis Foodie aims to find the best hidden local gems on each country and share it to the world. My Melbourne Trip article is coming up soon so watch our for it! In the tennis department, I only played 3 tournaments and withdrew in the last 3 events I was supposed to play. I’m currently taking my time in recovering and do a much smarter schedule next year. PS: I’m embracing my tan more now! I got a fairer skin growing up but I think I’m liking my tennis tan more. What do you think? Fashion wise, I’m still wearing vollaix this year. I really love the classic design and its functionality in the tennis court. I got a chance to collaborate with an Australian brand too for my lifestyle posts – Hew. This year was a memorable one and it’s just a beginning for more opportunities to come. From the bottom of my heart, thank you all for supporting The Tennis Foodie. I hope you’ll all check out my future blog posts and features. Happy Gastronomic Adventure! Happy blogiversary! That’s a great accomplishment. it’s hard to keep a blog going. Congratulations on your second year. You have a lot to be proud of. Keep up the good work! Congratulations on your second year! It takes determination to do what we do! I am super proud of you. Keep on churning out great content! Wow how awesome! Happy Blogiversary! So amazing once you keep hitting these milestones! Wow! Congratulations! You had an inspiration for those who would love to start a blog. Congrats on 2 years. That is a great accomplishment. With renewed confidence, I am sure this year will be the best yet! Best wishes. Such an awesome accomplishment to have reached the 2 year mark! I wish you many more years to come. Congratulations on your second year! I am so glad is is going better for you. Here is to better and better every year! Happy two year blog anniversary! Congratulations on all of your awards and may this next year bring you even more success! I forgot to say that too. Congrats on the milestone!! Congratulations on your second year. May you have many more successful years of blogging. Congrats on the two year. Best wishes! Two years blogging and you’ve won two awards already? Wow. That is a big accomplishment! Congratulations and wishing you more success. Congrats.More post to inspire others. Congratulations on year 2. I look forward to more of your posts in the near future. Many congratulations on making it to 2 years! It’s quite an achievement to win that award, what an accolade. Good luck on the tennis too this year, you can work off everything you eat! Congratulations on your second. And I love that tan too, there is absolutely nothing to worry about that. Love yourself the way you are and I wish you more power and strength and success this year. Happy anniversary! I remember the challenges I faced in my first few years as a blogger. Keep up the good work. First of all congratulations on turning two and a well deserved anniversary. It does take time and effort to come out on the other side specially when you are struggling in early days. Must say the awards did give you a boost when you were losing hope . Hope to see many more anniversaries and keep going . Congratulations on achieving the best food blogger award. Great to know about your progress. All the best for your upcoming projects and plans. Happy Birthday Tennis Foodie! Time goes so fast while blogging because it is so fun. And at the same time, one can see the development as a blogger. And congratulations on winning the award. Those definitely make one blog with even more enthusiastically. Congrats for completing your two years in the blogging field. I know there is lot of struggle initially in blogging but it is good that after winning an award in Food Blogger category, you regained your confidence back. I would love to visit Brunei and Australia is my favorite travel destination.